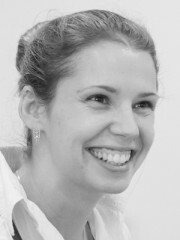 Joanna Cook is a Reader in Anthropology at University College London. She is the author of Meditation in Modern Buddhism: Renunciation and change in Thai monastic life (Cambridge University Press, 2010) and the co-editor of The State We’re In: Reflecting on Democracy’s Troubles (Berghan Books, 2016), Detachment: Essays on the limits of relational thinking (Manchester University Press, 2015) and Southeast Asian Perspectives on Power (Routledge, 2012). Her current research focuses on mindfulness-based initiatives and civil society in the UK. Through long-term anthropological research with patients, therapists, and political advocates, this work examines the ways in which practitioners learn to relate to their minds and the relationship that this has to broader political framings of health and human flourishing.